Whether it’s about how to use social media, getting through the early dark days of a startup, or about marketing your business, getting advice can help you succeed. The video below contains success tips from 11 business leaders. It was shot at ICON14 in Phoenix, Arizona. ICON is the Infusionsoft customer conference that attracts 3,000 attendees, most of them small businesses or serving small businesses like yours and mine. I was there on behalf of Small Business Trends capturing some “man on the aisle” interviews from presenters and attendees. And out of all the success tips, what’s my favorite? 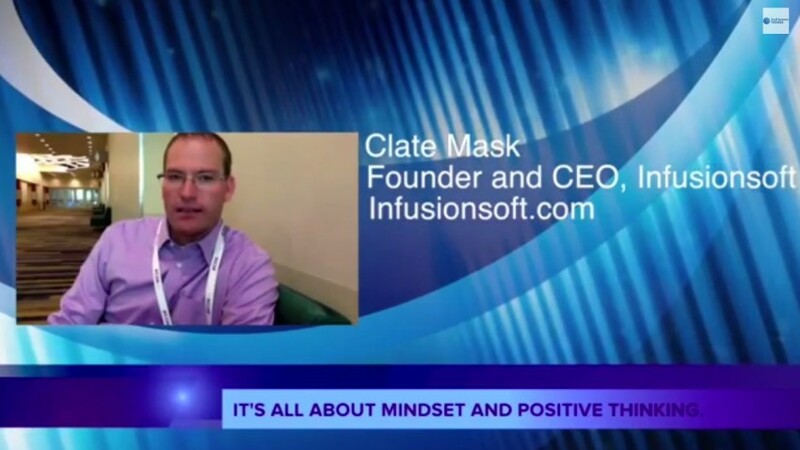 Well, it’s from Clate Mask, CEO of Infusionsoft, who sat down and talked frankly about the brutally tough early days of the company he co-founded over a decade ago. Infusionsoft, which got $54 million in venture capital from Goldman Sachs, bootstrapped its way for years before earning that large injection of growth capital. Mask says that in the early years, every single day was a struggle for survival. And while cash flow and business experience matter, the real secret, he says, “starts in your head with your success mindset, attitude and positive thinking.” This is what gets you through the struggle.